WordPress 5.1 “Betty” is here and it honors the American jazz singer Betty Carter. This version contains numerous improvements and bugfixes as one of them is particularly impressive since it provides your website with maximum security and excellent performance. If you still have not updated your website to WordPress 5+ this might be the right time to test version 5.1. 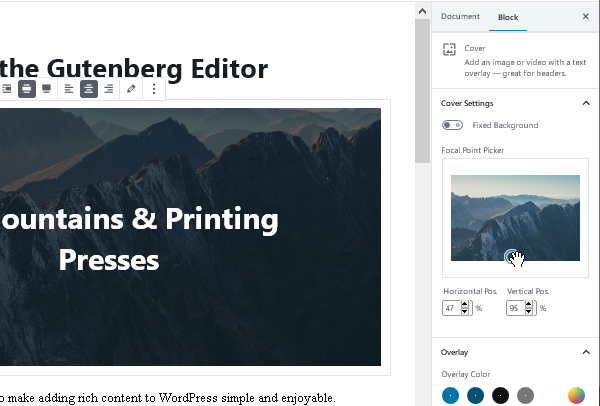 This version offers many improvements of the block editor Gutenberg as well as lots of new features. Follow the steps from the test plan and update your website to WordPress 5+. This version leads the path to a major change in the way WordPress is perceived. The CMS will no longer be presented as a blogging platform, but rather as a versatile publishing platform. This is a conclusion easy to make after a major change concerning the system files was performed. Strings in the system files of WordPress that contain the words blogging and blog have been replaced with publishing and site (e.g. wp-config-sample.php: Happy publishing.). Here are a few interesting and important new features in WordPress 5.1. WordPress is an application written using PHP scripting language. WordPress is driven by the execution of the PHP code. Similarly to WordPress, the scripting language also has different versions. Each new PHP version is better, faster and more secure than the previous ones. When WordPress works with a new PHP version, it uses all possible enhancements and protection mechanisms from this version. The latest PHP versions are provided with active support and constantly get security patches and enhancements. All other versions such as 7.0, 5.6 or earlier ones have reached their EOL (End Of Life) and do not get security updates. If your website is running WordPress version 5+, activate PHP version 7+ to enhance its security and improve its performance. Version 5.1 has a feature that detects the PHP version your website is currently using. If your PHP version is older than 5.6, you will see a warning message on the dashboard as it will guide you to activating a newer PHP version. Detecting and notifying for outdated PHP version is just a part of the global initiative - Site Health Check project. This project aims to encourage good website maintenance in a positive and user-friendly way. There are a few more projects taking part in the initiative. One of them is Servehappy as it will further educate administrators on the importance of using the latest and most secure versions of PHP. Tide is another project aiming to help users take better decisions for the plugins and themes they create or install. There is a new feature preventing from installing plugins incompatible with the website's used PHP version as this is one more completed task to the Servehappy project and the global Site Health project. As of WordPress 5.1 in the list of plugins the installation button is inactive for the plugins requiring a newer PHP version for your website. In case you get a notification for your current PHP version, enable a newer one quickly and easily by going to cPanel » PHP Manager. Important: Before upgrading your website to a newer PHP version back up all files and databases on your website. Activate the new PHP version and carefully test the website and its features, the theme and the plugins. In case something is not working properly get back to the previous version of PHP by accessing cPanel » PHP Manager. The new editor in WordPress from now on will be called only Block Editor instead of Gutenberg. The block editor contains many enhancements in version 5.1. The most important ones are improved performance, speed and optimization of its main features - publishing text, displaying elements and data in them, optimizing content for mobile devices, many bugfixes and others. WordPress administration now has CSS styling improvements, e.g. pagination links are now styled like the standard WordPress buttons. In the system files the word “blogging” has been replaced with “publishing”, “blog” has been replaced with “site” as well. The cron job system now has improvements, changes and new features for processing cron jobs. WordPress 5.1 contains a new database table (wp_blogmeta) for storing data, related to separate websites in a multisite. Full list of all the improvements: WordPress 5.1 Field Guide. What is about to happen in WordPress 5.2? For the next WordPress version developers are preparing automatic built-in feature for protection against fatal PHP errors which can result in a white screen of death and restricted access to the control panel. This feature was planned to be ready for WordPress 5.1 but due to serious security flaws, it was withdrawn and it is still being developed. Protection against fatal error occurrence will be activated upon incorrect functioning of a problematic plugin. If you update the website’s PHP version it is possible for some of the enabled plugins to be incompatible with this version. The purpose of this security feature is to provide access to the administrative panel of the website even when the website is inaccessible due to problems with a plugin incompatibility. This way the administrator will be able to log into the admin panel and check/update/fix the problematic plugin. Health Check is a plugin used to inspect the website’s technical state. It checks various technical parameters and provides information and tips for their improvement. Embedding some parts of the Health Check plugin in the core of WordPress is planned for version 5.2. More information and tips for improving your website’s technical parameters will be available for every WordPress 5.2 website with no need to install additional plugins. Adding Health Check to the WordPress core is one of the tasks from the Site Health project. Here are a few interesting new features we expect in WordPress 5.2. Have you already tried adding RSS feed to your website? Now doing this will be super easy with the new RSS Feed block. The RSS Feed block has settings for a RSS/feed URL, a number of elements, displaying an author name/date/short description. The new feature FocalPointPicker will be available for the Cover block. When an image is too big, cropping/scaling to fit the size defined by your theme leads to incorrect main focus of the image. This option enables you to manually specify the focus of the image so that it is not lost upon resizing. So the perfect image focus will be preserved. Version 5.2 of WordPress is planned to be released in April 2019. 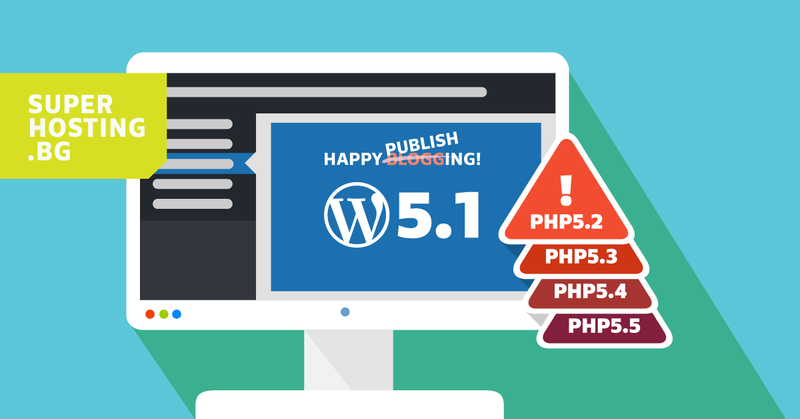 Meanwhile it is possible for the minimum required PHP version for WordPress to be changed to 5.6. 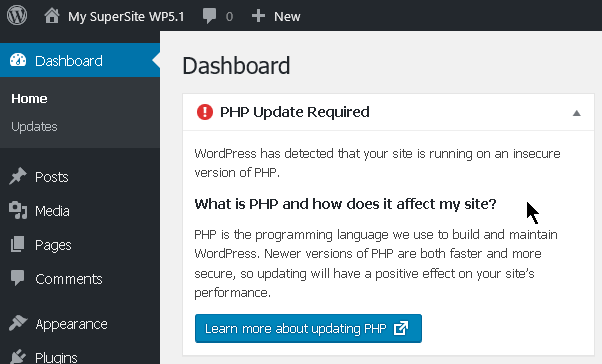 This means that if the website is using a PHP version older than 5.6 it will not be possible to upgrade to WordPress 5+. WordPress developers plan to make the minimum required PHP version for WordPress 7.x. by the end of this calendar year. Check out regularly our blog so that you keep track of the latest WordPress news and do not miss important changes of the CMS or interesting improvements of the Block editor (Gutenberg).